I live in Switzerland near the capitol city (Bern). I work as a senior program manager and technical transfer manager in a global company for the production of active pharmaceutical substances. A half day a week I also teach applied chemical technology at a professional school for chemical equipment operators. I am fascinated in astronomy since my childhood. 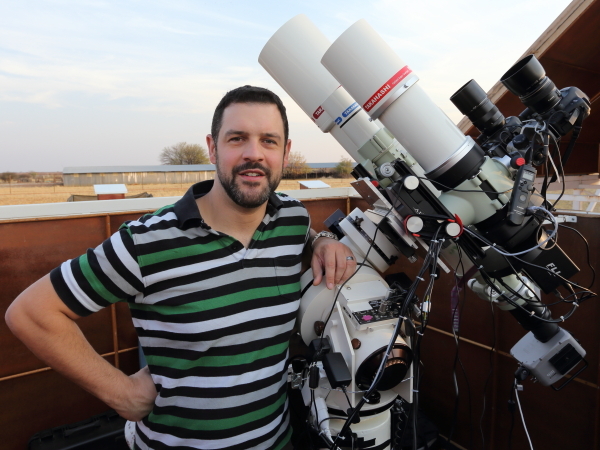 I started observing the night sky with a small 50 mm refractor with lenses made out of plastic. In 2004 I have started digital astrophotography with a Canon EOS 20d, Borg ED101 II and self-guiding. Since 2004 I try to optimize and improve my equipment and image processing.